StableLib is a stable distribution of curated open source Go packages with long-term support. It’s free for open source and personal non-commercial projects. The ability to write native iOS apps in pure Go is here. Mostly based around a Makefile that manages the building and running of a Go app within a Docker container. 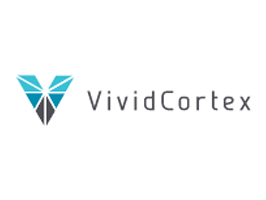 VividCortex is the best way to see what is happening on your production servers. Unlike traditional monitoring, we measure and analyze the system’s work and resource consumption. This leads directly to better performance for IT as a whole, at reduced cost and effort. Did you know Go is more popular in China than any other country? Here’s a quick look at what’s going on there, including a visit to a 160 employee all-Go shop. Some paid, some free - with brief summaries of each. A very introductory look, aimed at people new to Go. Want to test and deploy faster? Codeship is a hosted Continuous Integration and Delivery platform focusing on speed, security, and customizability. Join customers like CareerBuilder and speed up your software development with Codeship. There’s a post explaining more.